Ignoring New England IPAs for one moment, if we can, there’s few beer releases that currently get beer nerds as excited as sours. Indeed, it seems there are so many locally made sours now on the market that it's easy to forget how recently it was that anyone seeking something tart and funky had had to look at the import section of their local independent bottleshop. From gose to Berliner weisse to the whole gamut of barrel aged and blended beers, such beers are becoming ever more commonplace. It's a situation being embraced by the growing number of brewing companies operating out of Himmel Hünd in Brunswick. The host brewery was launched in 2014 by Annabel Meagher, whose love for beer was stirred while living in Bavaria. 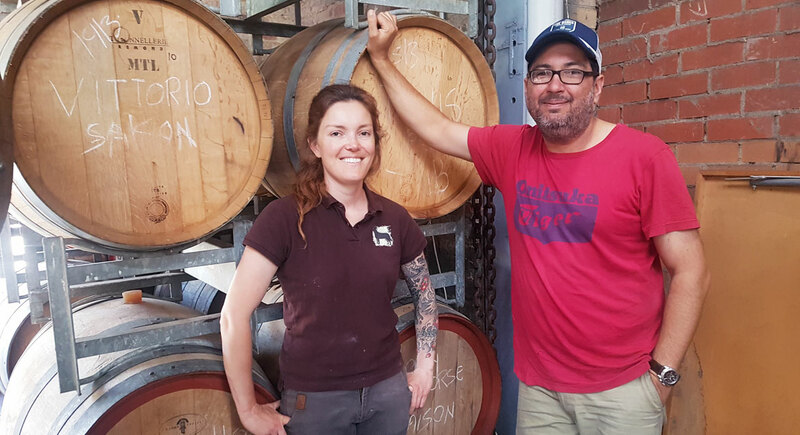 While Annabel still brews Himmel’s “normal beers”, her partner Henry Laas has been leading the charge towards sours, turning their brewery into something of an incubator for brewers looking to experiment with barrels. Annabel Meagher and Henry Laas at their "incubator" brewery in Brunswick. Embracing sours is quite the turnaround for someone who never used to drink beer. 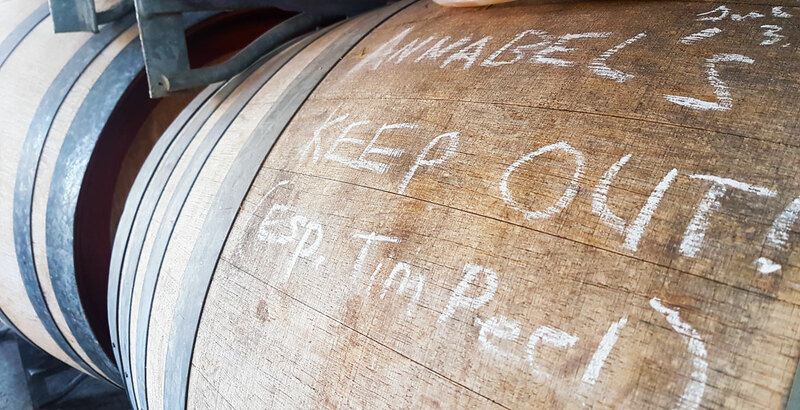 Henry was an amateur winemaker when Annabel introduced him to her beers and his new love for malt eventually led him back to booze in a barrel. After experimenting and learning more about barrel aged sours by himself, Henry realised the lack of practical ways brewers could gain skills in using barrels. 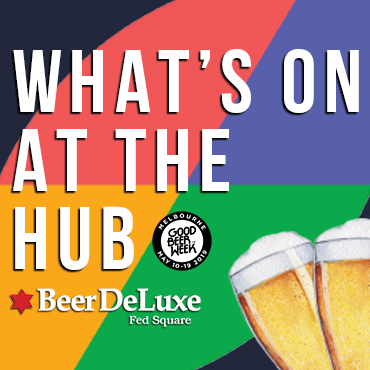 As well as the barrels Henry and Annabel use, Old Wives Ales, Cobalt Brewing, Last Word Brewing (which is the work of the team behind Carwyn Cellars), Crazy Horse, Tuesday Night Brewing and homebrew club Merri Mashers all have beers in the warehouse. They're all small (or smaller) operations and, while the growing number of physical breweries in Australia means there’s a fair amount of tank capacity available for gypsies to fill, finding a space in which to play with barrels can remain a challenge. One long-term homebrewer who was quick to find space for his own beer at the Brunswick warehouse is Travis Walton, the man behind Tuesday Night Brewing. 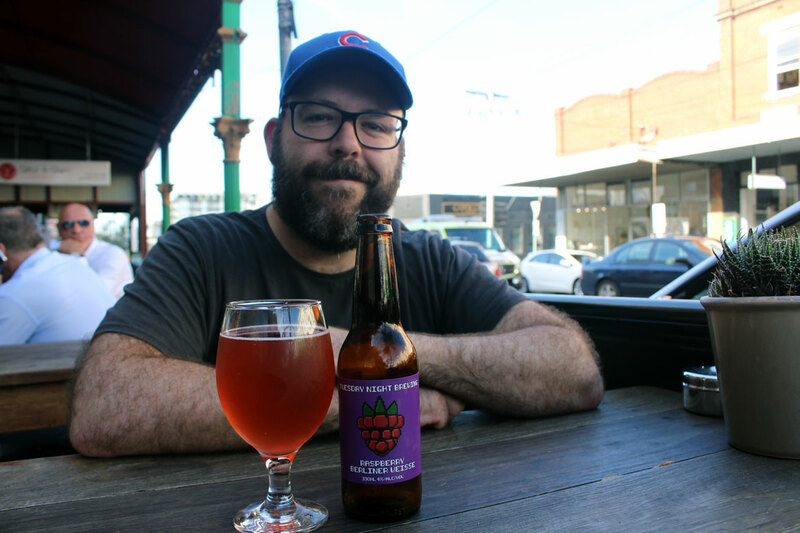 A familiar face to those who frequent Melbourne’s beer events, he began brewing eight years ago and first embraced brewing sours in 2016. His first commercial beer, a Berliner weisse loaded with local raspberries, was one he’d taken to Himmel before, with a plan to impress sour fans. Travis Walton of Tuesday Night Brewing. “I knew there were people brewing down there so I went down with a bottle of my homebrew to try and impress them,” he says. 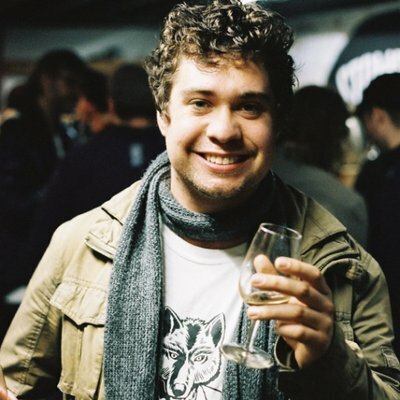 Travis talks about the thrill of getting a beer sold through Slowbeer, where he’s been a customer for years, as well as the immediate shocks that hit you when you first start brewing. “The big surprises are probably the bad ones: how many licenses you have to get, how many hoops you have to jump through,” says Travis, explaining how the nerves of receiving a call never leave you; even if it’s just to chat about beer following a retail licence application. While an incubator for barrel aged beers may create a new way for breweries to enter the market, there's a hope that those who start their journey at Himmel will, in time, expand their collection of their own barrels. You can try beers from Cobalt and Last Word – among many others – at Carwyn Cellars' Midnight Sour V.
And you can help us decide which beers of this ilk to feature in our next blind tasting by voting here.